The newest activity at the American Clinic. 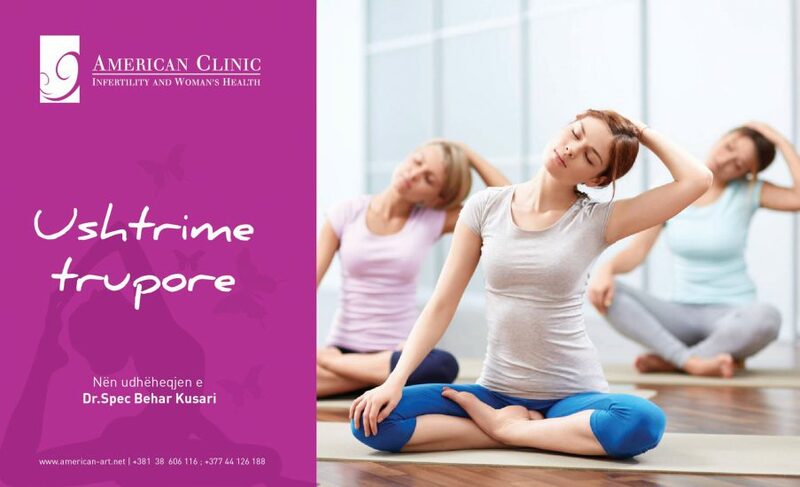 American Clinic, in cooperation with the well-known coach Zana Zherka, begins with free physical and body exercises for pregnant women that will take care of pregnancy at the American Clinic. All interested women should appear at the Reception to give her names. On group creation.